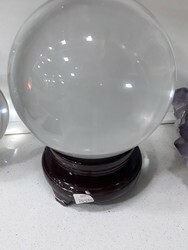 The Crystal Globe is widely used as an important tool in Feng Shui by the businessmen and students. It is supposed to be an ultimate enhancer for education, literary and scholastic luck. If you are student, this will bring you luck in your studies and examinations. If you are a writer, this will bring you fame and recognition. It is an enhancer to activate your education, career and travel opportunities. Place in the North East sector of the study table or bedroom. For career enhancement place in the North. Crystal globe gave addition benefits on one hand it absorbers relative energy while on the other hand it has many more benefits. Crystal is an earth element. It gives more benefits is placed in south-west. If you are a writer, you can achieve a good recognition and popularity by placing it. Our company is the major in offering Crystal Globe Trophy to the clients. Offered range is made by using best quality material and with the help of sophisticated technology in complete adherence with quality standards. 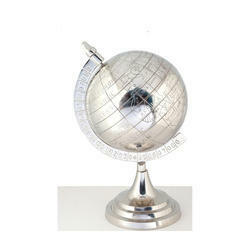 Crystal Globe Trophy is widely demanded in various schools and national as well as industrial programs.